A Skirt…oh, and a pillow too! Yeah, so I wasn’t creative with that title. But, guess what? I made a skirt! I’ve never really been confident enough to stray very far from the whole “straight stitch only” thing. And I certainly haven’t even considered making something that I thought someone else might wear in public. I mean, I’ve made pillows, crafty things, and well…yeah, pillows and crafty things. But, the Lovely Daughter is in Color Guard at her High School. They were told Tuesday evening at rehearsal that they would each have to come up with their own costume/outfit before competition today, Saturday. That gave us less than 4 whole days to figure something out! They are doing a show with an old fashioned 1940’s USO theme, so they needed to have outfits that reflected that time period. 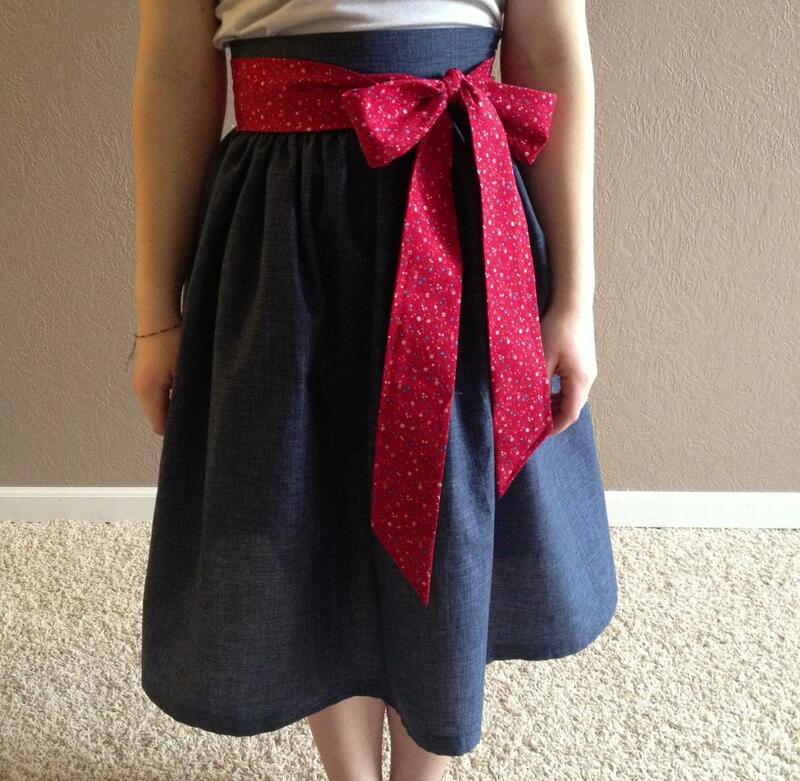 I had pinned this skirt (by Amy at ‘This Big Oak Tree’) on Pinterest and asked the Lovely Daughter what she thought. I told her that I have never made a skirt before but Amy’s tutorial made it seem simple enough. I was so nervous about making this. I mean, she is a teenager. I didn’t want her to be embarrassed by it. But, we decided to take the plunge. I followed Amy’s tutorial EXACTLY but with the Lovely Daughter’s measurements. Amy had photos of each step of the process. I was so thankful for that. If I had been using a traditional pattern and been told to purchase a zipper and add it, I would have been totally lost and confused. But, because I could see photos of that, I felt like I could handle it. 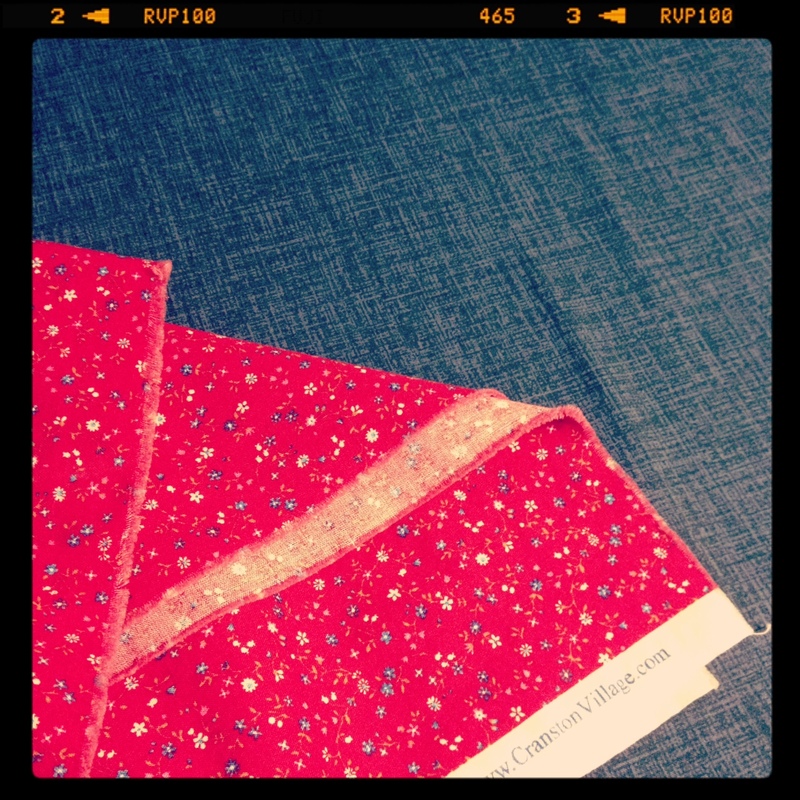 There were many firsts for me with this sewing project. My first time adding a zipper. My first time gathering material. My first time adding a waistband. My first time making a sash/belty thing. My first time using a different foot on my sewing machine. I love it. It turned out almost perfect. Well, at least, exactly like I intended it. But seriously, I would not have even attempted it if I hadn’t read Amy’s awesome tutorial. 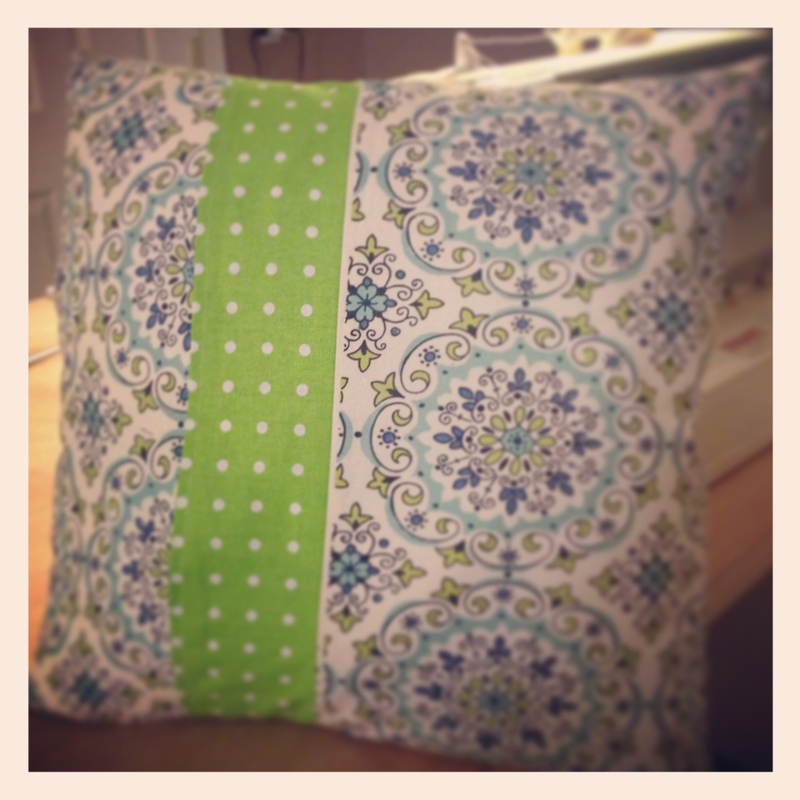 Since the sewing machine was sitting out and just waiting…I made a pillow tonight. Stay tuned for the pillow tutorial…it will be up soon! This entry was posted in Uncategorized and tagged color guard, pillow, Pinterest, sewing, skirt by palmtreejen. Bookmark the permalink. Thank you…and thanks for stopping by. I am so very flattered! You are too kind! And the skirt looks amazing, you really did a wonderful job! Thanks for your great tutorial…and the inspiration!